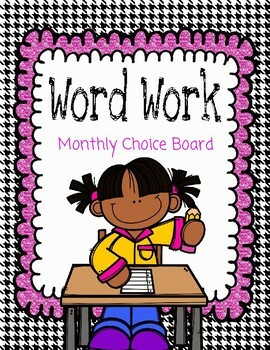 This packet is great for literacy centers, independent word work time or whole group instruction. 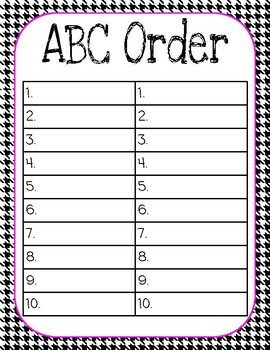 The students have a choice in their activities that they can complete independently or with a partner. 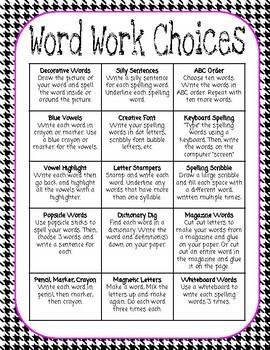 The sheets allow for differentiation because the words the students use are up to the teacher. 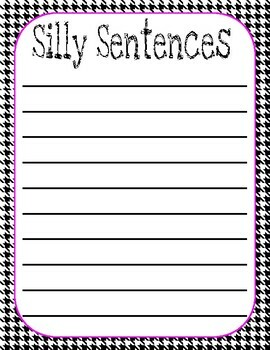 The accompanying sheets can be used however works best in the classroom.